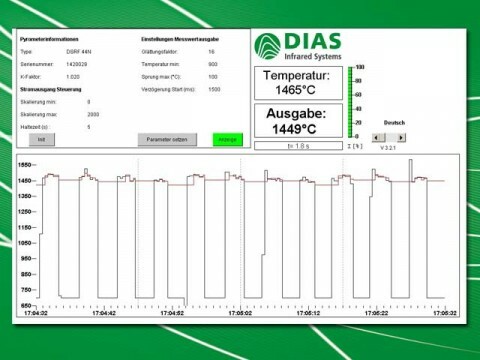 DIAS Infrared offers a system solution for the use in foundries. A special algorithmcounteracts the differences of the measurement results that occur because of a fluctuating casting stream. 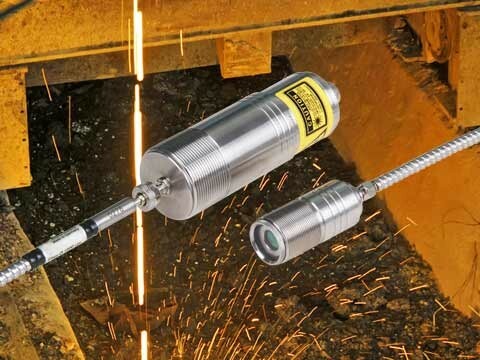 PYROCAST PRO – The ratio pyrometer is equipped with an integrated color video camera and has a rectangular measurement spot. PYROCAST PRO – Detailed view of the video image with rectangular measurement spot for the precise temperature measurement of the casting stream. 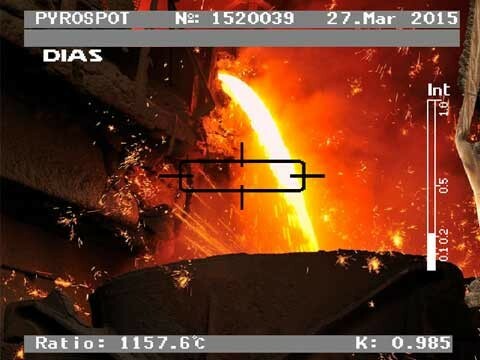 The casting stream measurement system is based on digital ratio pyrometers of the PYROSPOT series, combined with a display and evaluation unit and parameterizable software. It is specifically designed for industrial purpose in foundries for temperature measurements of the casting stream. 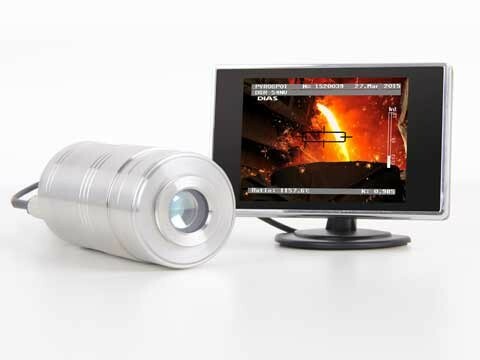 Depending on application conditions you can chose between an infrared pyrometer with fiber optic cable and special optics (PYROCAST) and an infrared thermometer with integrated color video camera and a special rectangular measurement field (PYROCAST PRO). The temperature linear output signal of 0/4 to 20 mA is available. 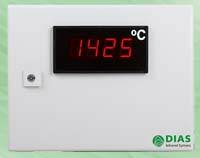 The measurement temperature can be viewed on a large LED display. The special optics guarantees an exact temperature measurement even when the measurement field is not filled completely or when the casting stream is moving. The system is controlled via the integrated web server. Even in a running process it is possible to optimize settings in the web browser that contains the temperature profile and the value table. The web server allows the adjustment of different parameters to the respective casting process. Besides the detection of a relevant average value via whom signal variations (e.g. at the sprue) can be faded out, the beginning and the end of a casting process can be detected automatically. The web server allows the adjustment of different parameters of the ratio pyrometer to the respective casting process. The special software allows the adjustment of different parameters to the respective casting process. For every casting process a relevant average value over the temperature is output and occuring troubles, for example at the sprue, are faded out. The controller is programmed via Ethernet interface and it can be integrated into the remote maintenance. It is possible to access to the device in a running process to optimize settings and to solve a problem. The software is multilingual. You can switch between English, German and Spanish. Further languages are available on request. As a specialist for customized system solutions in the field of temperature measurement technology DIAS Infrared realizes complex projects including project plannung, software, installation and maintenance.